Hello everyone! 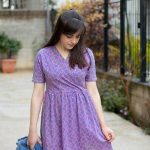 I’m back today with the first tutorial in the Samantha Hacks series and I’m gonna show you how to add a gathered skirt. If you haven’t read my previous blog post, this April we are celebrating the pattern’s 1st birthday and there will be a series of hacking tutorials, showing you how to modify it in order to achieve different looks. Changing the original full skirt of the Samantha dress to a gathered skirt has been a request by many of you. 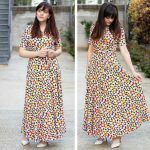 Full skirts sometimes tend to highlight the hip area as the fabric skims down and I know that this feature of the pattern has prevented some of you from making it. But fear no more! Drafting a gathered skirt is soooo easy and it can make the Samantha look completely different. Here’s how you’ll do it! We will start by constructing the bodice. 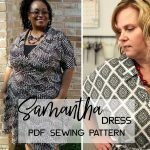 The Samantha dress waistline is designed to hit you at your natural waist, so you may need to lengthen or shorten the bodice to adjust it accordingly. I have written a tutorial about this adjustment HERE. Once you’ve done that, cut out the bodice front and back pieces, as well as the neckline binding piece. Sew the bodice together following the instructions in the pattern booklet. When you finish with the bodice, try it on and overlap the front pieces as much as you want. Pin and carefully take it off. At this stage, I recommend sewing a basting stitch line to keep the pieces from moving -but try to stay inside the 1 cm (3/8″) seam allowance. Now, I want you to measure the front waistline and write this number down. Then, measure from your natural waist to the point where you want the skirt to hit you and write down this number as well. We will use these measurements to draft the skirt pieces. For the skirt pieces, you are esentially going to draft a rectangle. 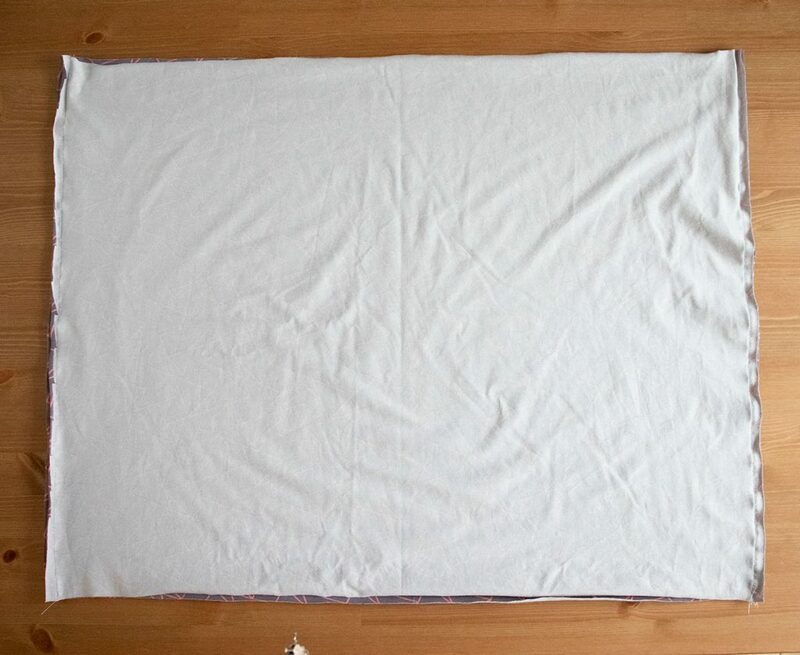 You can either draw it on a piece of paper or measure it directly on the fabric. 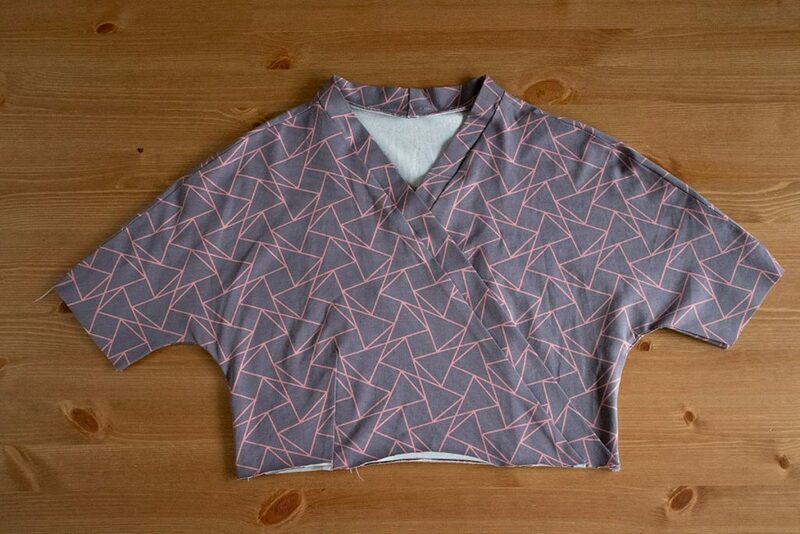 However, having the pattern piece ready can come in handy if you want to make the same thing again in the future. For the rectangle’s width, you are going to take the waistline’s measurement and multiply it by 2. 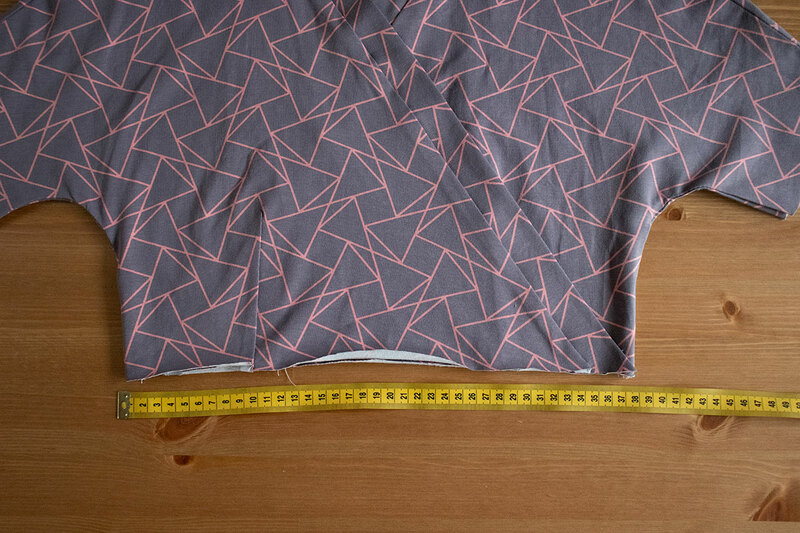 For the rectangle’s length, you will need the length measurement +1cm seam allowance for the waistline +2 cm hem allowance. My rectangle ended up being 76 cm wide and 57 cm long. As soon as your pattern piece is ready, go ahead and cut out two identical rectangles. Then, pin the side seams, right sides together and stitch. The next step is to gather the skirt. Sew two lines of gathering stitches at the waistline, being careful to stay inside the seam allowance. Do NOT backstitch, instead leave long tails of your threads to gather the fabric. It is also helpful to stitch two lines on the front piece and two lines on the back piece to manipulate the fabric more easily. 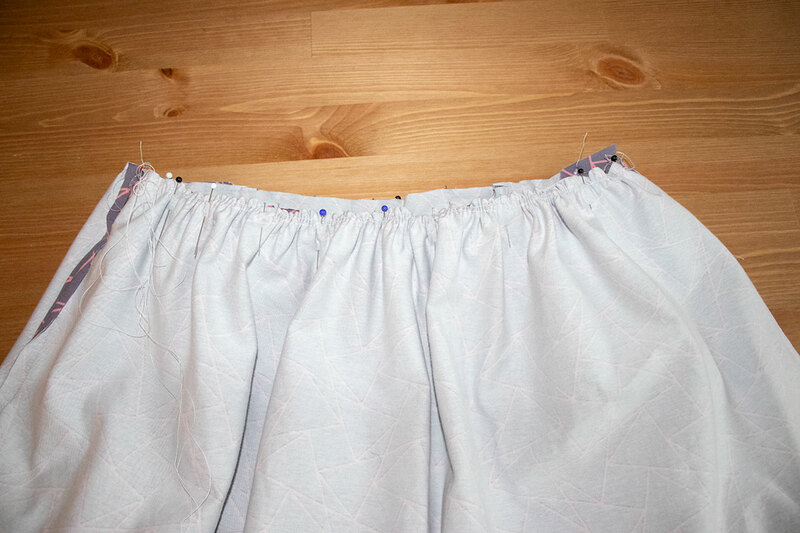 Using the thread tails, start gathering the fabric at the waistline until the width of the skirt matches the width of the bodice’s waistline. Insert the bodice to the skirt, right sides together and matching at the waistline. 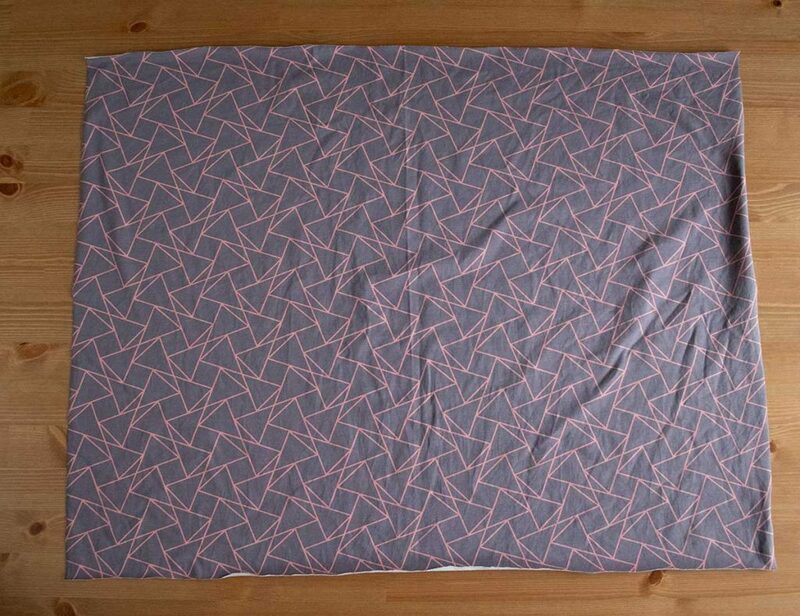 Match the side seams as well and ry to distribute the gathers as evenly as possible. Pin and stitch in place. 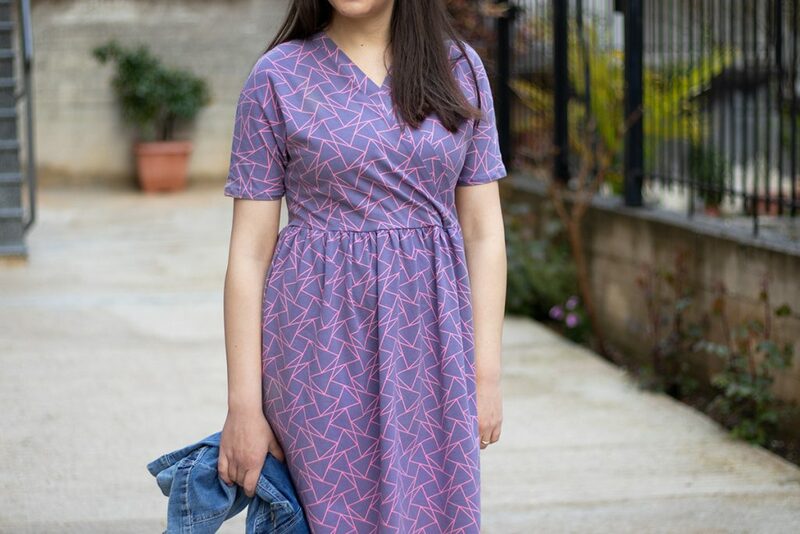 Disclaimer: To make my Samantha Dress I used this beautiful cotton jersey, very kindly gifted to me by Lamazi Fabrics. James and Liana stock an amazing selection of high quality jersey fabrics, so make sure you go and have a look at their shop to find fabric for your makes. 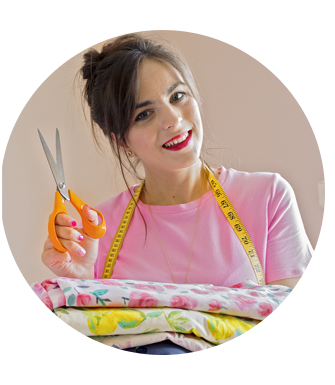 Apart from a full-time blogger and YouTuber, Athina is also a sewing pattern designer and author of the book "Sewing your dream wardrobe". 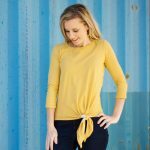 She's the co-founder of SMYLY patterns and owner of Craftaholic and her ultimate goal is to teach more and more people how fun it is to sew your own clothes!